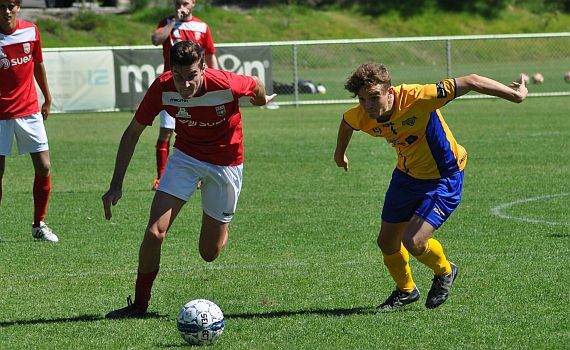 It was a disappointing weekend for the ECU Joondalup under 18’s and 20’s both being beaten by Inglewood United. The 18’s found themselves behind early, before Thomas Hough scored to level. But the visitors added two more before the break. Inglewood added a fourth in the second half to take the three points. “Saturday’s performance was a mixed performance but one that we need to use to get better from,” Coach Dean Pickering said. “The past three games have been very disappointing results, but we have been unlucky at times but we cannot use this as an excuse. At the end of the day we haven’t been deserving of getting the three points. “The game on Saturday we just didn’t look up to it in the first half and a few errors cost us being 3-1 down at half time. We did level the game at 1-1 after going behind early through an own goal of a corner but that as far as we got looking likely to score in the first half. Going into the second half the players seemed for up for it and came out firing and looked the better side but couldn’t get that goal to get us back in the game. The under 20’s found themselves 3-0 down and down to ten men with Ben Johns sent off for a second yellow card. But they pulled one back midway through the second half. James Owen picked up the ball just inside the box, maneuvered it away from his defender onto his right foot and bent his shot past the keeper just inside the right hand post, but they couldn’t find any more goals and the loss was their first defeat of the season. There was a huge plus for the first team in the 20’s game with defender Rikki Smith coming through a full game as he gets fit after missing three months with injury.